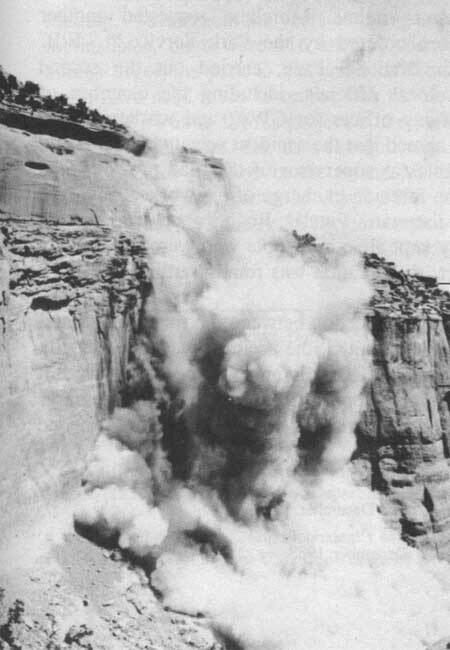 These photos show the blasting of the half-tunnel. The cave-in occurred later, when they went in to clear the debris. These photos were taken with a box camera, by Helen (Seeley) McEwen, the sister of Ira and Harold Seeley and wife of Delbert (Mac) McEwen, who all lived on Glade Park and worked on the road. While at work with their shovels and picks. And for food and good cloths there was naught. Of buying and paying their bills. A high wall of boulders to slide. And were crushing themselves on the stones. Lifting them out in the sun. Out from the rocks and the sands. The first one from months on a year. Or to save the old home for the brood. Or the grandson who died on the hill. Or to help with the sums of the day. Where they died and the when and the how. To come home and rock them to sleep. Family members, friends or historians are encouraged to provide information and pictures for individual memorials. Please leave comments in the individual pages for each man. We would like to thank Jack Murphy for his efforts to have these men remembered on the 80th Anniversary of the half-tunnel disaster, December 12, 2013. Please thank Beth Carlucci for giving permission, through Jack Murphy, for us to use Guy's book in this tribute to the men who died in the half-tunnel cave in. Also let her know if you would like to see a reprint of the book. 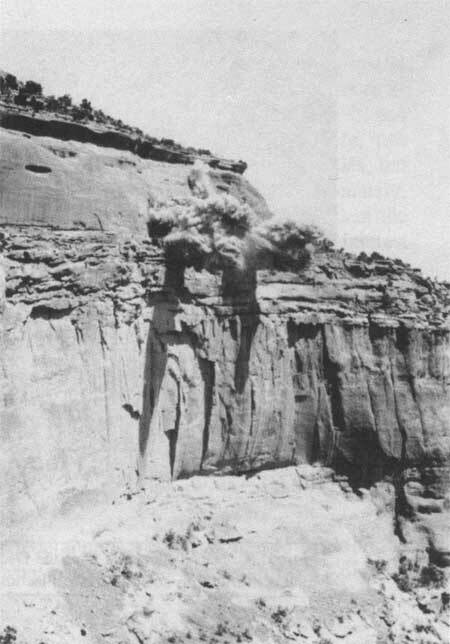 "A Classic Western Quarrel: A History of the Road Controversy at Colo Nat Momument"